A year and a half ago, clarinetist Lothar Ohlmeier, trumpet player Tom Arthurs and Icarus’s Ollie Bown and Sam ‘Isambard Khroustaliov’ Britton were invited to perform at the North Sea Jazz Festival in Amsterdam, Netherlands, but neither Bown, who lives in Sydney, nor Britton, who was due to be on his honeymoon at the time, were able to attend. Still, the four did perform together, in some way, as planned. Arthurs and Ohlmeier did make it to the festival and played together on stage against a backdrop of sounds generated by software developed specifically for the performance by both Bown and Britton, the particularity of the software in question being that it would generate sounds and music on its own accord and interact with the two live performers as they improvised. This was further complicated by the equation between protagonists constantly shifting between the four, or in case of Icarus, their incarnations, performing either in pairs or trio. Beside the North Sea Jazz Festival performance, this record also documents part of a similar set at NK in Berlin. 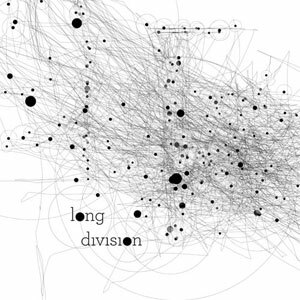 Subtitled Suite For Autonomous Electronics, Long Division is an intriguing document on self-generative music and a very interesting example of applied artificial intelligence. What results of these two sets is predictably intricate and difficult to grasp in one sitting. The balance between the two live musicians and the computer generated sounds constantly shifts, at times bringing out the organic interactions between Arthurs and Ohlmeier, at others leaning heavily on the side of the machines, but it is when all these elements are combined fairly equally that things appear to take on a different dimension altogether. This is perhaps best demonstrated in the closing piece, its first half especially, Arthurs and Ohlmeier combining forces to fight off relentless assaults of glitches and noise distortion. Before that, a similar set up delivers a marginally more gentle piece on the second track while the album’s opening piece is resolutely geared towards textures and noises, which take on various forms here, some extremely electronic and distorted, some sourced from the instruments, but Arthurs and Ohlmeier steer clear of any remotely musical components to instead work from silent blows and breathings as they attempt to emulate the fragmented patterns generated by Britton’s software. The third, fourth, fifth and sixth pieces are all duo performances, and while the fourth provides Arthurs and Ohlmeier with a few minutes of complete acoustic freedom, the three other pieces display various scales of interaction between computers and musicians, ranging from sparse moments (the two involving Britton) to much denser and active constructions on the Bown piece. Whether machines have souls may perhaps not be relevant here, but this experiment in self-generative electronics and how these can ‘interact’ with humans certainly poses more questions than it answers, and proves an intriguing work, which is made very accessible to all from the Not Applicable website for free – a £3 donation is suggested, a very small price to pay for a totally unique album. 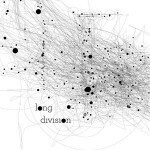 The quartet will be performing Long Division live again at Kings Place in London on Monday 30 January. Visit the Kings Place website for further details.